Prime Minister Narendra Modi will on Wednesday visit Kedarnath on the occasion of Diwali to offer prayers at the Himalayan shrine and review Kedarpuri reconstruction projects. The prime minister will arrive at around 9.45 am, Chief Secretary Utpal Kumar Singh said, adding that after offering prayers at the temple, Modi will inspect the reconstruction projects underway at Kedarpuri. He will also be shown a video at the guest house within the temple premises to apprise him about the progress of the projects at the township, Singh said further. The foundation stone of Kedarpuri reconstruction projects was laid by Modi during his visit to the temple last year. Snowfall in the higher reaches of the mountains of Uttarakhand has enhanced the beauty of the temple and its surroundings. All preparations have been made in view of the prime minister's visit with the road from the helipad to the temple totally cleared of snow, Singh said. 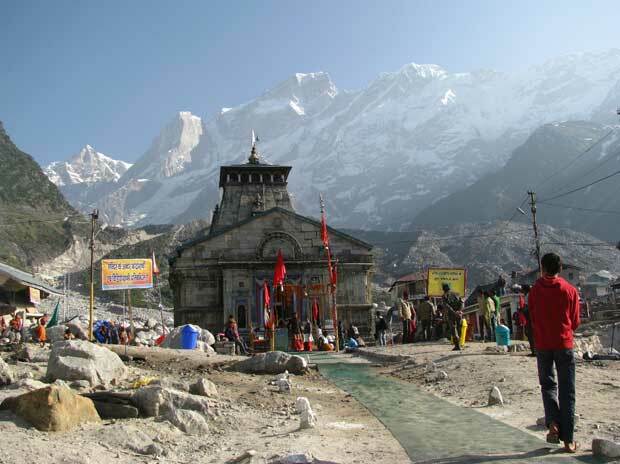 Several new features including a meditation cave 400 metres above Kedarnath will greet Modi during his visit this time. Built at a secluded spot 400 metres above the shrine, the cave will be shown to the prime minister from a distance as he is not scheduled to go there, Rudraprayag District Magistrate Mangesh Ghildiyalsaid. Other new features for Modi to see at the shrine this time will be a much wider Mukhya Aksha, the passage from the point of confluence of Mandakini and Saraswati to the facade of the templeand the retaining walls constructed on the banks of the two rivers, the official said. Kedarpuri reconstruction has been on Modi's priority list and he keeps monitoring its progress on regular intervals via video conferencing. It would be his 10th visit to the state after assuming office in 2014.